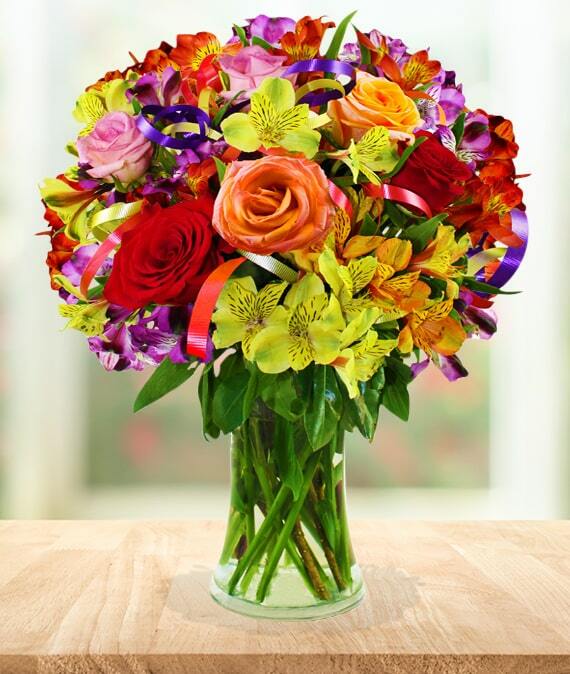 The Birthday Indulgence Bouquet is simply the most festive arrangement you can send. Bright purples, deep reds, and vibrant oranges are arranged to create a spectacular display of celebration. Colorful ribbon bursting throughout is the finishing touch to impress your recipient and keep them smiling on their very special day. No matter what their age is, make your loved one feel like a kid again!